If you have been arrested for a crime in Freehold, then you can be certain you will need a professional on your side to defend you. Don’t risk your future by putting it in the hands of an over-worked public defender instead of an experienced attorney like Fred Sisto. He has an in-depth understanding of the law in Freehold. This can be the difference between receiving a long jail sentence and having your case thrown out of court due to a lack of evidence. 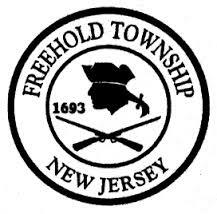 Fred Sisto has experience with criminal cases in Freehold. His past experience with the town’s court system will help him to build the most effective defense for you. When collecting evidence or conducting an arrest, police in Freehold must follow certain procedures to ensure your rights are not being violated. Fred Sisto’s experience in criminal procedure and trial work is unsurpassed. If you need a criminal attorney in Freehold, then Fred Sisto is your best option. He has a proven track record of fighting for his clients when other attorneys won’t. Fred Sisto is not afraid to contest cases in court. While most attorneys will avoid litigation and only attempt to negotiate a lesser sentence with the prosecutor, Fred Sisto will bring your case to trial if he feels that will result in the best outcome. Don’t delay any longer. Call Fred Sisto today for a free consultation at 732-898-3232. Don’t let an arrest in Freehold ruin your life when other options are available. Find out what those options are by hiring Fred Sisto as your criminal attorney in Freehold.